Many car buyers like the idea of having the latest and greatest technology, but don’t like the idea of paying that new vehicle price. How do you pick a relatively new car while getting all the technology you’re looking for? In this instance, we can name five of the best lightly used vehicles that have the best technology packages available. All three of the Ioniq models (gas-electric hybrid, plug-in hybrid, and pure electric) are equipped with excellent standard high-tech features. 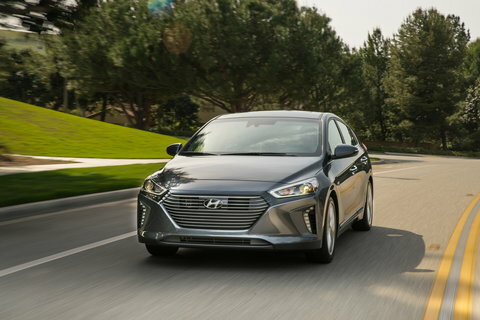 The Ioniq models include a 7-inch touchscreen infotainment system, push-button start, proximity keyless entry, and automatic climate control to keep you comfortable at all times. Optional tech options include HD and satellite radio, Apple CarPlay and Android Auto, a wireless charging pad, automatic emergency braking, adaptive cruise control, lane departure warning, and rear parking sensors. 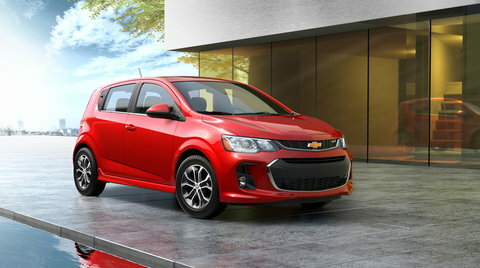 The Chevy Sonic sedan and hatchback come standard with impressive technology for its class. Both the sedan and hatchback feature the Chevrolet MyLink interface that can be used with a smartphone to bring up apps on the 7-inch touchscreen infotainment system. The infotainment system supports an onboard Wi-Fi hot spot, Apple CarPlay and Android Auto, and a 4G LTE data connection – making this vehicle great for people who need connectivity. Optional high-tech features include lane departure warning, push-button start, forward collision warning, keyless entry, a driver information center, and rear parking sensors. The Toyota Camry has consistently been a top car for consumers to own, so it’s no surprise that it makes this list. 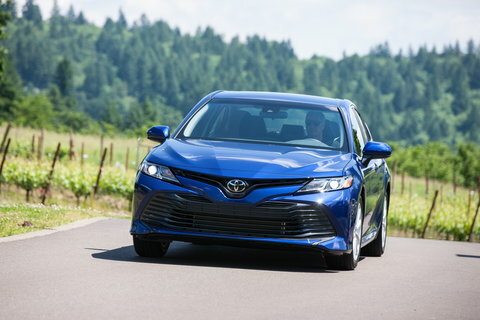 The Camry’s standard high-tech features include adaptive cruise control, lane departure warning, forward collision warning with pedestrian detection, and an infotainment system with Siri Eyes Free, Google voice controls, and smartphone connectivity that allows you to use navigation from your phone to display on the screen. Optional technology includes keyless entry, push-button start, blind-spot monitoring, rear cross-traffic alert, a surround-view camera system, a color head-up display, a wireless charging pad, and dual-zone automatic climate control. 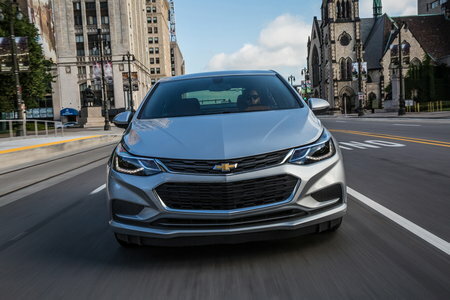 A popular vehicle for first-time drivers and car buyers, the Chevy Cruze comes standard with a 7-inch touchscreen infotainment system that supports Android Auto and Apple CarPlay, as well as Chevy’s Teen Driver system. Optional features include built-in 4G LTE Wi-Fi, keyless entry, push-button start, wireless charging, blind-spot monitoring, rear cross-traffic alert, forward collision warning, lane departure warning, lane keeping assist, rear parking sensors, and an 8-inch touchscreen. 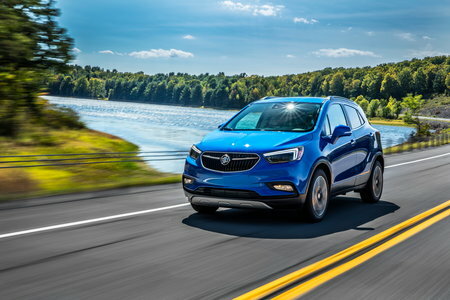 The only subcompact crossover SUV listed here, the Buick Encore is a little more expensive but comes with excellent technology features as well as a near luxury interior. Standard features include keyless entry, push-button start, a 4.2-inch driver information display, and an 8-inch touchscreen infotainment system that supports a Wi-Fi hot spot, a 4G LTE data connection, satellite radio, and Apple CarPlay and Android Auto. Available tech features include navigation, dual-zone automatic climate control, blind-spot monitoring, rear cross-traffic alert, forward collision warning, lane departure warning, rain-sensing windshield wipers, and front and rear parking sensors. If you’re considering one of these used cars, or a used vehicle in general, you can explore different models in our Used Car section. Once you have an idea of what you’re looking for, we can help you find it. At CarsDirect, we want to help you find a dealership in your area with the lending resources available to handle various credit types. With our help, you don't have to drive from dealer to dealer hoping for a lender you can work with. Our process is simple, free, and doesn’t put you under any obligation. To get connected to a local dealership near you for the bad credit auto loan you need, just fill out our car loan request form and we'll get to work for you!